There is no better time to be at your greatest than when big money is on the line. You could be in charge of developing a new system that could potentially add $30 million in revenue for your company. You could be at a stage in your career where you could land a $30 million contract with the biggest brand in the world. Or you could be directing your startup business to win a $30 million investment. For whatever purpose, you cannot drop the ball now. 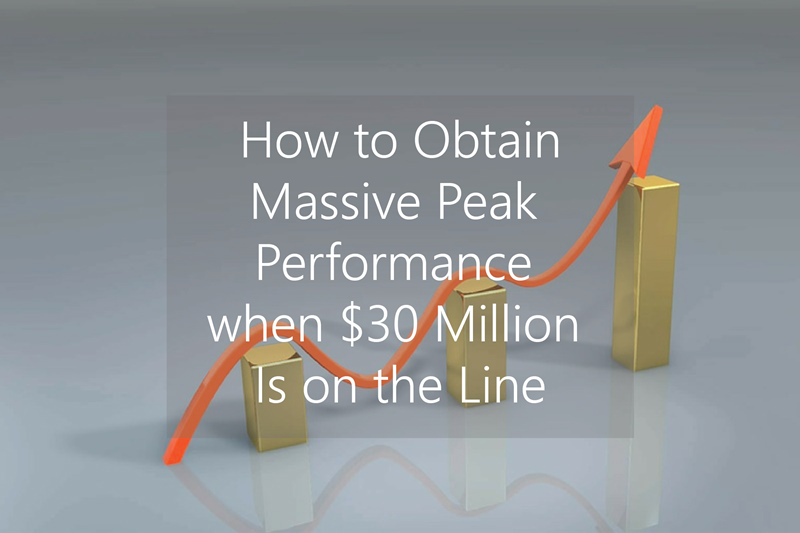 Not when your peak performance can significantly improve your life, the lives of your employees—and anyone connected with the biggest deal you have, so far. But how do you not give up under the heavy weight of such expectations and pressure? Whether you’re leading an entire organization or a small team of people, you need to cultivate leadership. Start by taking your cue from the world’s best leaders—from CEOs to heads of states. And what would they all have in common? A majority of business leaders are now practicing meditation as part of their daily routine. Many, like the chief technology officer of Cisco Systems, have credited meditation techniques to managing everything in business. Oprah Winfrey, who has not only practiced meditation for years, but also incorporated it into her company, has been able to lead her business amid the daily craziness. And according to a Huffington Post report, plenty of Fortune 500 executives reveal that meditating has enabled them to become better leaders. Incidentally, Huffington Post president and editor in chief, Arianna Huffington herself, practices meditation. She adds that meditating has a proven competitive advantage for any business—and any individual, for that matter. It takes a great deal of strength and balance to weather the pressures that come with multiple million-dollar deals, contracts, or investments. By tapping into a place of peace and wisdom through daily meditation, you unleash your abilities at their very best. You can handle multiple meetings and take on a variety of issues because meditation improves your energy, physically, mentally, spiritually, and emotionally. You can accomplish more tasks and become very effective with your job because meditating develops your ability to focus. You can come up with greater ideas and solutions because meditation can boost mental clarity and improve creativity. Meditation, be it a transcendental or mindfulness technique, has the power to propel you to greater performance that achieves a high level of success. With business leaders like billionaire Ray Dalio (who founded the world’s largest hedge fund company) crediting meditation as the biggest ingredient to success, you may even secure a billion-dollar deal in the future by practicing daily meditation now.